Charizard X looks cool! To those who don't know yet , you will be given an option to choose between 3 classic starter (Charmander, Squirtle, Bulbasaur) somewhere in the beginning. They come with Mega stone You still receive one of the new starter(Fennekin, Chespin, Froakie ) in case you are wondering. 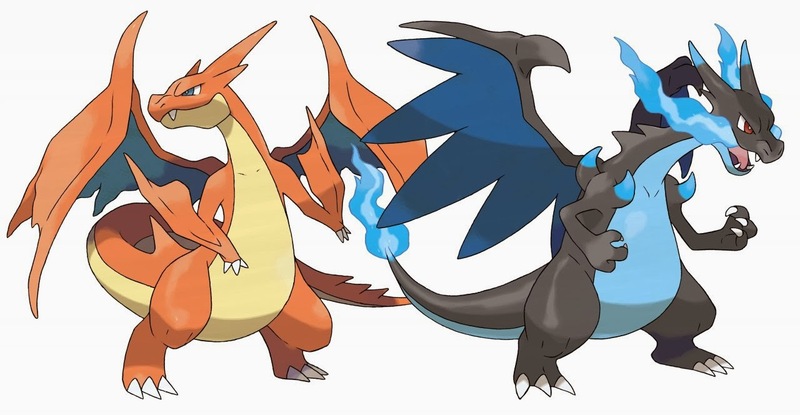 Well, some Pokemon will have an additional evolution stage, called the Mega Evolution. However it is not similar to the normal evolution as it only last during the battle. Plus, the Pokemon need to hold some sort of stone to allow it to Mega Evolve. The evolution type depends on the stone it is holding. FYI, choose your Pokemon game wisely (X or Y) because they will give different stones for you. For example, Charizard must be holding Charizardite X or Y depending on the game to become Mega Charizard. 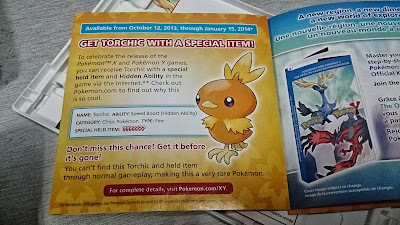 For a limited period of time, you could claim this Torchic from the mystery gift. 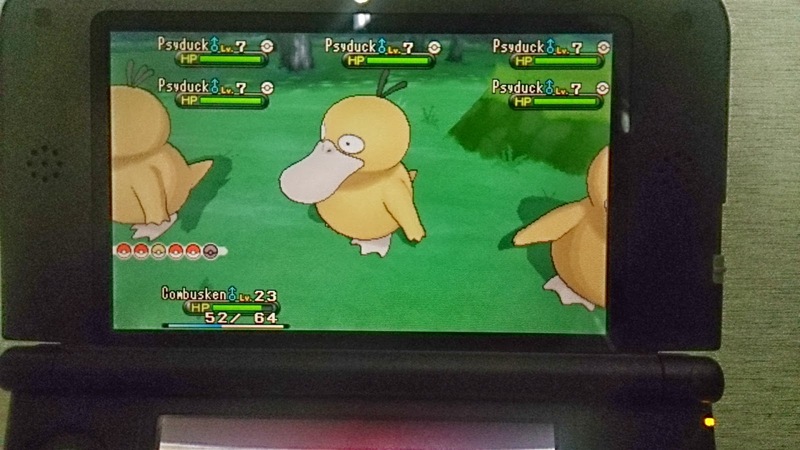 Well, i doubt you could find torchic in the wild without trading from previous gen. To make it extra special , it have a superb hidden ability and also holds a Mega Stone (ooowh!!) 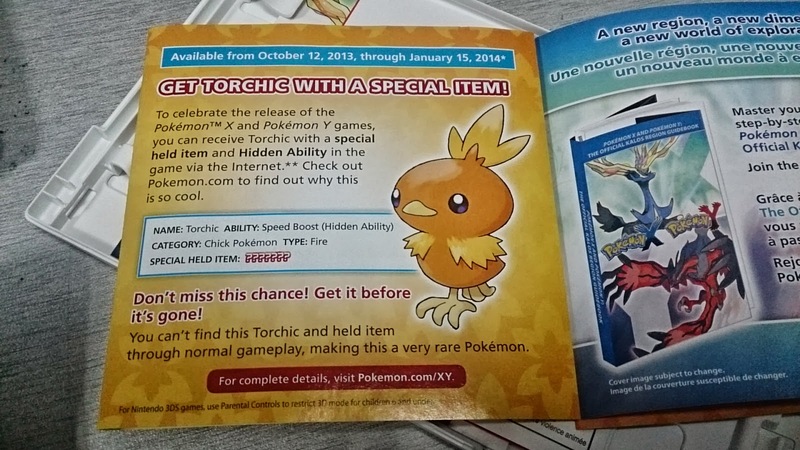 So, be quick and claim the Torchic before February 15 2014. I choose Froakie as my starter because i would want to choose Charmander later. I could also choose Chespin, but i guess i am not a fan of grass starter. But now my Froakie have evolved into Frogardier ! 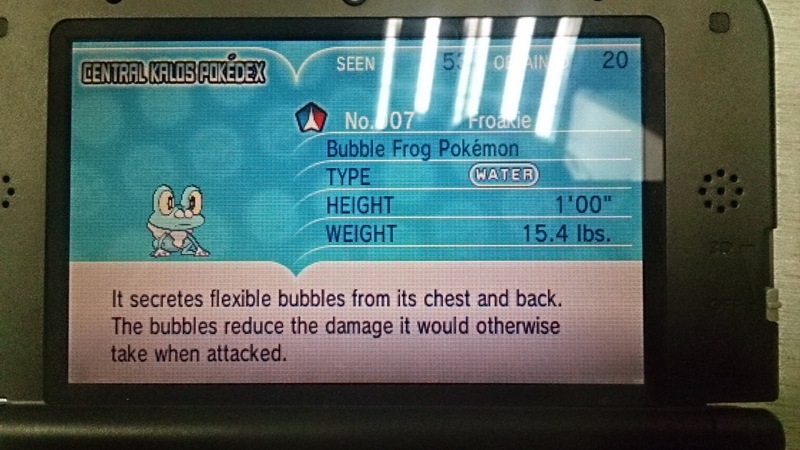 And, shocking enough, someone traded me another Froakie! There is so much thing to do in this game, and i chose not to rush and enjoy the game slowly. One features that stand out the most to me is the wonder trade. Here, you put up a Pokemon and get a random one from a stranger. 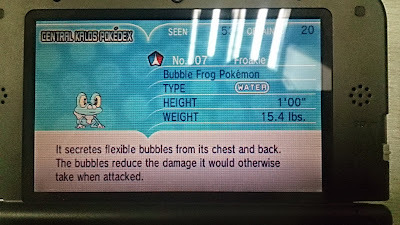 I got a lvl 1 Froakie from this, a Japanese guy got it from the daycare and decided to trade it away. I also got a lvl 38 Poliwhirl while i haven't even beat the first gym. Of course my Poliwhilr wont listen to me and decided to sleep during battle. I just beaten the first gym, and i could say this new Pokemon generation is awesome. The new fresh ideas really makes me enjoy the game. 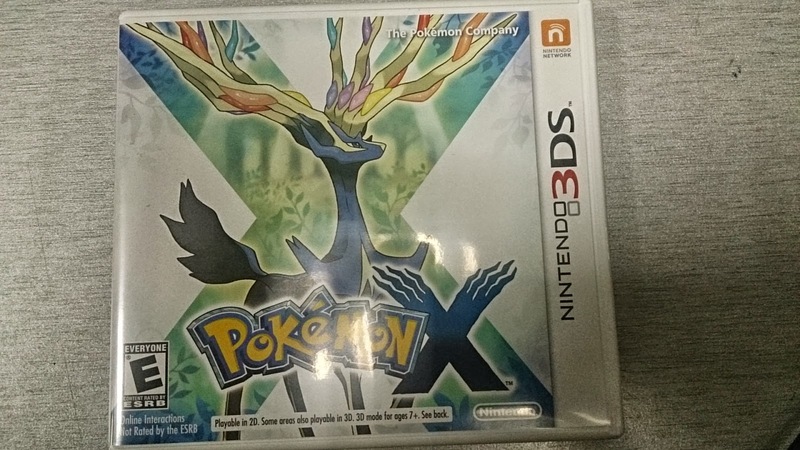 It really bring back the memories of First Gen game (red/blue/green). Well, you will notice a lot of similarities with the original series in this game. I really didn't enjoy much of the previous gen (except gen 1& 2) because it feels so repetitive, and "grindy". All i do is level up and battle , and i just rush to finish the game.